We understand that you and/or your family members, may feel anxious about visiting the dentist; our goal to make you feel comfortable visiting our practice while providing the best quality you and your family deserves. Your first visit is all about you –your comfort, your happiness, and your health. During your first visit, we will review your dental and medical history forms, take X-rays of your teeth and mouth. A doctor will meet with you to discuss your X-rays, help you create your own individual treatment plan, and answer any questions that you may have. At your next visit, one of our hygienists will clean and polish your teeth, checking your teeth and gums for any cavities or early signs of tooth decay or gingivitis. Your most updated insurance card. Regular checkups are an important part of maintaining a healthy smile. The American Dental Association recommends visiting your dentist every six months for regular checkups and routine teeth cleanings to keep your teeth and gums healthy. We understand that you have a busy schedule and we will do our very best to meet your needs; however, please remember that your appointments can last between 45 and 90 minutes. Your smile is yours forever, and we want to make it as easy as possible for you to receive the best dental care when you need it. Affordable patient financing is available through Lending Club Patient Solutions. Lending Club offers no interest plans for 6 or 12 months and extended plans up to 84 months for those who qualify! 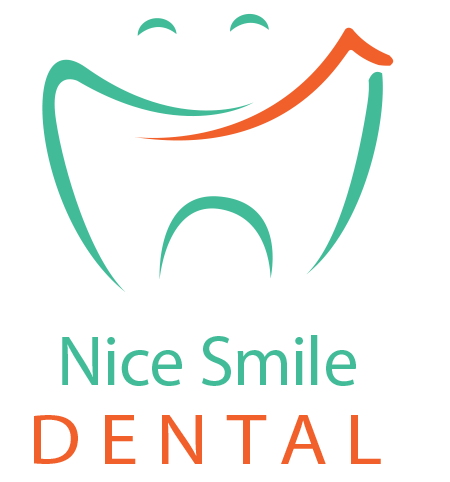 Call our office today for more information or visit Lending Club's website and simply enter Nice Smile Dental when it asks for the practice name. Maintaining good oral health is so important, and I love being able to be a part of that, but the aesthetics of it all is the most rewarding aspect by far. I love cosmetic dentistry and I’m a perfectionist when it comes to practicing it. I love to see the changes in people’s smile and overall appearance, knowing I helped to make that person’s outlook a little better. It’s amazing how much a person’s smile affects the way they carry themselves. I’ve had people come in who haven’t smiled in years and they leave my office laughing without a care. That’s when I know I’ve done my job, I’ve done it well, and I’ve made a positive impact on that person’s life. Ours is a true family practice. I’m blessed to have the opportunity to work with both my wife and my youngest daughter. My wife has been my partner running the business since I started my practice. My daughter joined the team in 2002, taking some of the load off my wife and also ensuring that the office is always running at its best. We try to treat every team member and every patient as if they are also part of our family. 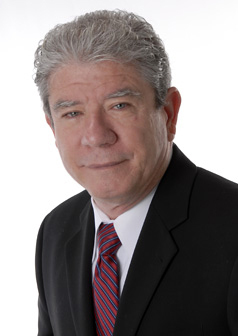 I grew up in Tegucigalpa, Honduras, Central America, receiving my dental degree from the University of Honduras in 1971. My family and I moved to South Florida in 1986, and I received my dental degree in the United States in 1991. I think it’s important for any professional to have a desire and willingness to learn. Dentistry is an evolving science, and I can’t serve my patients to the best of my ability if I don’t stay afoot of the latest dental trends. 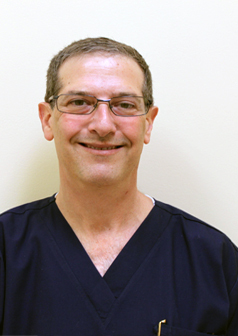 I have completed several courses throughout the years, including implant dentistry, endodontics, and aesthetic dentistry, allowing me to complete certain treatments without the need to refer my patients out to a specialist. People have a greater peace of mind when they know they don’t have to go to another office for part of their treatment. International Academy for Dental Facial Aesthetics. It has been a pleasure to live and practice in Palm Beach County for the past 23 years. My wife, Sandra, and I have five children and three grandchildren. My time outside the office is spent reading, going to the movies, and watching sports, especially soccer. I also love the quality time I get to spend with my family. Had I not been a dentist, I would have pursued a career in politics. I’m a true believer in social justice and protecting human rights. I am an active member and advisor of the Social Justice Ministry of the Diocese of Palm Beach. The Social Justice Ministry addresses local issues affecting our community and helps defend those affected by unjust situations. I am also a network member of P.E.A.C.E. (People Engaged in Active Community Efforts), an organization consisting of 27 congregations of different denominations that come together to stand up for the community and to make Palm Beach County a better place to live and work. My main priority is to serve people, whether it’s within my professional scope or through the organizations in which I’m involved. I feel that if we have the capacity to contribute something to the community, than it is our obligation to do so. I practice this every day by helping my patients achieve and maintain their oral health and by helping improve the community for everyone. As a dentist, I have always looked at my patients as people, not just teeth. As such, I treat patients as though they are family and I recommend treatment in the same way. I also look at the quality of my work and say to myself, “If this was my mouth, would I be happy with this result?” Even after 30+ years of practice, I’m still amazed to see the overwhelmingly positive effects my patients receive when I restore any missing oral functionality and give them a beautiful smile as well. The confidence a patient gets when they are no longer embarrassed about their mouth can have a life changing impact. Even more, important than a renewed confidence is protection from dental disease. Studies have repeatedly shown that dental disease can cause heart and artery disease that can lead to a heart attack or stroke. To have a healthy body, you must have a healthy mouth. I was born and raised in Miami, Florida. I received my Bachelor’s degree in Chemistry from the The university of Florida in 1979. I graduated from Emory University School of Dentistry in 1983. I have been practicing in South Florida for the past thirty-two years. Like any medical specialty, the materials and procedures related to Dentistry are constantly improving. As such, it requires a commitment to attend courses to keep up with all the latest advancements. I have always considered myself an early adopter, especially when it comes to technology. For example, I switched to digital x-rays long before most dentists, because I found that it greatly increased my ability to properly diagnose conditions, as well as educate my patients. In addition, I have taken many courses to be able to offer my patients Invisalign (orthodontic treatment), Root Canals, Esthetic Dentistry, Full- Mouth Reconstruction, Dentures, Implants, and Botox. I married my childhood sweetheart, Elisa, in 1979 and we have been happily married for 36 years. We have two sons, Jason, and Sean, ages 32 and 29. My wife and I enjoy working out together at the gym, as well as riding our bikes and going to the movies, theater performances, and art festivals. I am also a huge fan of the Miami Heat and watch every game. My oldest son, Jason lives in Atlanta and we look forward to his visits. My younger son, Sean, lives in China so we don’t see him very often, but we remain very close to him by utilizing Skype, phone and WeChat. I have always wanted to be a dentist from a very young age. It is very satisfying to be able to help people realize their dreams and I love working with patients toward a common goal. To give someone back their smile, as well as their ability to chew properly, is incredibly fulfilling.